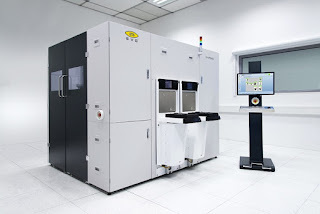 PRNewswire: EV Group (EVG) announces that the company is experiencing strong demand for its automated 300-mm polymer adhesive wafer bonding systems. Over the past 12 months, the company's order intake has doubled for these systems, including the EVG560, GEMINI and EVG850 TB/DB series of wafer bonders, includes multiple orders from foundries and outsourced semiconductor assembly and test providers headquartered in Asia. Much of the increase in demand is being fueled by advanced packaging manufacturers ramping up production of CMOS image sensors with TSV interconnects. PRNewswire: Almalence announces that it has received an investment from Intel Capital. 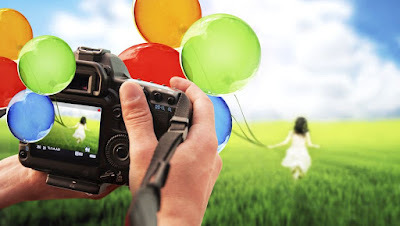 The funds will be used by Almalence to develop the next generation mobile imaging technology enabling mobile cameras to achieve the image quality level of DSLR cameras. 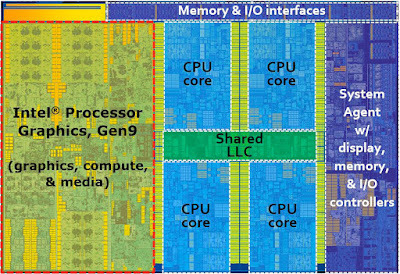 Intel and Almalence have also entered into a strategic collaboration to bring Almalence's technology to Intel's architecture. Almalence is a privately owned company with headquarters in Austin, Texas and the team distributed across the world - USA, Russia, Israel, China and South Korea. The company was founded in 2005 by Russian engineers Dmitry Shmunk and Eugene Panich, and has a track record of working with global mobile device manufacturers, such as Huawei and Sharp. Almalence's R&D activity is concentrated in Novosibirsk, Russia. Eugene Panich, CEO of Almalence said: "Working with Intel will help us to enter a new stage in product development as we take the image quality of mobile cameras to new heights." Arjun Kapur, Intel CVP, Platform Engineering Group, and GM, Imaging and Camera Technologies Group, said: "We look forward to working with Almalence to deliver such capabilities to the Intel mobile ecosystem." Yole Developpement publishes 2015 Camera Module Industry Report. The Compact Camera Module (CCM) market is forecasted to double in the next five years. "Driven by mobile and automotive applications, the CCM industry is expected to grow at a CAGR of 16.8% from 2014 - 2020, reaching a total aggregate revenue of US$51B by 2020. 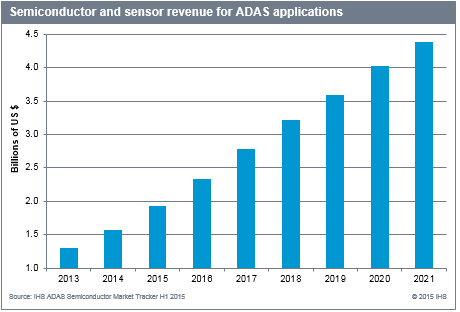 Automotive module revenue reached $1.2B in 2014, and growing at a CAGR of 36% should reach $7.9B by 2020. This exceptional growth has mainly benefited the CCM industry’s second-tier players, but the response of market leaders will be worth watching. There is a different market trajectory for the lens and sensor markets, which are now maturing at ~14% CAGR with the emergence of giant billion-dollar companies. The CCM and auto-focus manufacturing markets, which are still very fragmented and growing at ~20% CAGR, should experience consolidation over the next five years. The current CCM industry is controlled by Asian firms, mainly Korean and Japanese, but we’re also witnessing the rise of Chinese firms and the restructure of Taiwanese firms. An ongoing price war has leveled the market, and most players have operations in China or Vietnam." IEEE Transactions on Electron Devices opens an early access to ON Semi paper "A 47 Million Pixel High-Performance Interline CCD Image Sensor" by Shen Wang, Douglas A. Carpenter, Adam DeJager, James A. DiBella, James E. Doran, Robert P. Fabinski, Andrew Garland, James A. Johnson, and Ryan Yaniga. 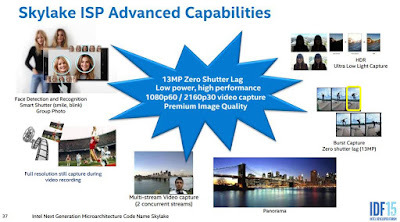 The 47MP CCD is said to be "the world’s highest resolution interline-transfer CCD, has been developed for industrial, machine vision, and aerial photography applications. The sensor features a 5.5-µm pixel, 16-output low-noise amplifier and a low-smear, fast-dump gate, horizontal lateral overflow drain, and on-chip temperature sensor. 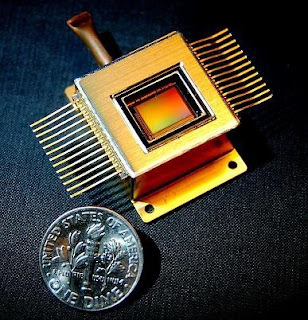 One challenge to manufacture this large sensor is stitching the sensor with different lithography tools, while still achieving equal or better image performance than its predecessor." IEEE Journal on Solid-State Circuits publishes an open access paper "A Dynamic Vision Sensor With 1% Temporal Contrast Sensitivity and In-Pixel Asynchronous Delta Modulator for Event Encoding" by Yang, M., Liu, S.-C., and Delbruck, T., University of Zurich and ETH Zurich, Switzerland. "A dynamic vision sensor (DVS) encodes temporal contrast (TC) of light intensity into address-events that are asynchronously transmitted for subsequent processing. This paper describes a DVS with improved TC sensitivity and event encoding." Thanks to DSSB for the links! BusinessWire: Tessera announces the acquisition of Ziptronix for $39 million in cash. Ziptronix’s patented ZiBond direct bonding and DBI hybrid bonding technologies have been licensed to Sony for volume production of its CMOS image sensors. The addition of the Ziptronix team will not change Tessera’s target operating expense structure. Tessera is making no adjustments to third quarter 2015 revenue or earnings per share guidance. "Currently, we expect the transaction will close in the third or fourth quarter of this fiscal year. However, the transaction is still subject to regulatory approvals, including antitrust review in the People’s Republic of China, review and clearance by the Committee on Foreign Investment in the U.S., clearance or approval under applicable Taiwan law, and other customary closing conditions. As of today, we have not obtained all the necessary approvals, nor have we met all the closing conditions. As such, there’s no assurance that the proposed acquisition by the consortium will close." "In our first fiscal quarter, we shipped 215 million units, as compared to 180 million units in our prior quarter, reflecting strength in our mobile market and strong growth in our automotive and security markets. Unit sales of 8-megapixel and above represented approximately 19% of total shipments in the fiscal first quarter equivalent to the prior quarter. Unit sales of 3 to 5-megapixel category represented approximately 40% of total shipments, as compared to 38% in the prior quarter for the same category. Unit sales of 2-megapixel and below represented approximately 41% of total shipments, as compared to 43% in the prior quarter. In terms of target markets, our mobile phone sales represented approximately 65% of revenues in the first fiscal quarter, as compared to 69% in the prior quarter. Our automotive segment represented 10% of sales, as compared to 9% in our prior quarter. Quarter-on-quarter, the automotive market showed a robust 25% growth. 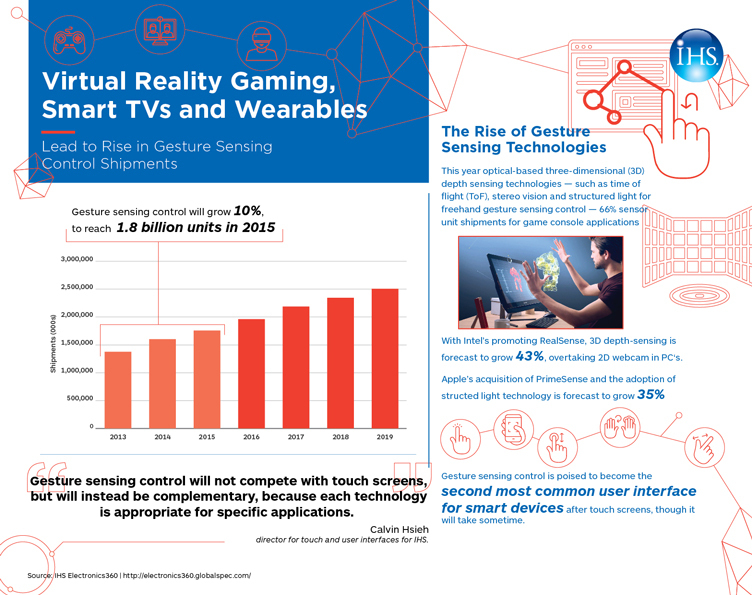 One fast emerging category is the virtual reality or augmented reality headsets being designed by a vast variety of brand-name OEMs or high potential startups. This category has a broad scope of applications from entertainment, gaming, education, industrial, enterprise, or simply web surfing. We have begun shipping early mass production volumes to a Tier 1 brand-name customer, utilizing our highly specialized global shutter sensors. We are also engaged in several other virtual reality and augmented reality, headset potential applications and designs." Trend #1 From CCD to CMOS even for high-end machine vision and defense systems. Trend #2 Smaller pixels for industrial image sensors. "Today’s pixel sizes are 4.5 to 5.5 um (industrial cameras – much smaller in the consumer/ cell phone market). In 2-3 years, industrial sensors will have pixel sizes of 3 to 3.5 um. We anticipate this will be the end of the pixel size race. Now image sensor developers are able to focus on functionality such as improving the global shutter and performance." Electronics Weekly: Consumer demand for connected home products, including wireless security cameras, dropped dramatically in the first half of 2015, according to Argus Insights. "Early adopters have gotten what they need, and now products are not compelling typical consumers to create a connected home." "The big buzz last year was over security cameras. Dropcam was huge, and made even more news when it was acquired by Nest Labs, which had previously been acquired by Google. (The recent Nest camera has been more coolly received.) Kickstarter launches, such as the Canary and Piper security cameras attracted a lot of attention to the market, resulting in more new product introductions, but the optimism of 2014 turned into the reality of 2015 as that market has dropped, due partly to connectivity and usability issues." All papers of 2015 International Image Sensor Workshop (IISW) are now open for on-line access. 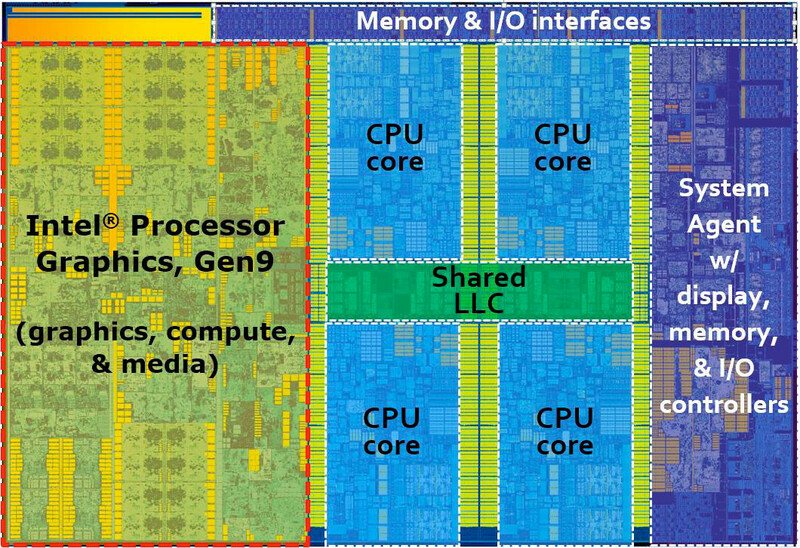 IHS Electronics360 talks about many new companies coming to fight for the lucrative ADAS market, including the image processing side of it: Xilinx, Nvidia, Intel, Qualcomm. Digitimes: Sony is to ramp up its image sensor production capacity by 31% in 2016, and plans focusing on mid-range and entry-level phone models, according to Digitimes Research. Sony also plans to triple its lens module shipments during the period from 2014-2017, Digitimes Research says. Samsung Electronics has not used in-house developed image sensor products on its flagship models for over one-and-a-half years, not even in the recently released Galaxy Note 5, which comes with a Sony IMX240 sensor. Samsung's adoption of Sony's CIS sensors may affect confidence of other first-tier smartphone brands in Samsung's image sensor products, which in return is likely to force the Korea company's CIS business unit to cooperate with second-tier handset brands. This is said to have an unfavorable impact on other image sensor makers, including Ominivision, ON Semi and those in Taiwan. The mass production of both OV13880 and OV5880 is rumored to start next year. Korea Times: SK Hynix has invested 2.2 billion won (~ $1.86M) in Stratio, a Silicon Valley startup, in what officials say is a part of a corporate strategy to increase its stake in the rising image sensor segment. For that amount, SK Hynix got a 9.1% stake in Stratio. Other Stratio investors include K Cube Ventures (Tech for Korea), a venture company that funds and supports startups and young entrepreneurs in Korea, that invested $1M in October 2014. Semicon West startup introduction page states: "Stratio, Inc. was founded in 2013 by four Stanford Electrical Engineering PhDs. Stratio’s core technology is low-cost germanium (Ge) based short wavelength infrared (SWIR) image sensors suitable for incorporation with mobile devices. Stratio’s sensor utilizes a proprietary hybrid process that combines selective Ge epitaxial growth with established Si CMOS technology to overcome the limitations of conventional InGaAs-based SWIR sensors. Stratio's unique manufacturing process has a high thermal budget and results in a two chip package (sensor and ROIC) that allows for greater manufacturing flexibility than traditional monolithic sensor solutions. In addition, Stratio is developing a low-cost, portable hyperspectral imaging system for use with our sensor." 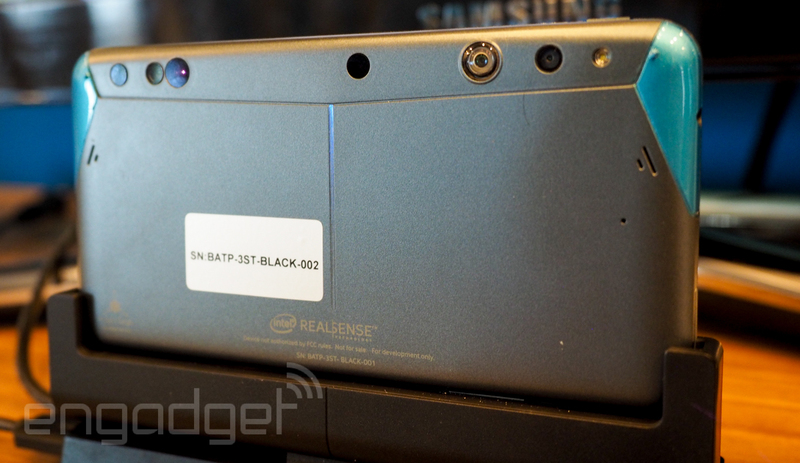 Intel Developers Forum 2015 has a number of interesting imaging announcements. EETimes compares Yole Developpement's and IC Insights' rankings of image sensor companies and wonders why they differ so much. Update: EETimes discusses the accuracy of market forecasts and why people buy market research reports. SeekingAlpha's ON Semiconductors Q2 2015 earnings call transcript has few interesting statements about the company's planned comeback to the camera phone market. "Image sensors you talked about strengthened surveillance in automotive, but where are you in terms of turning more selective in the commodity types of market like handsets and consumer is that something that’s still has to play out?" "Actually we’re there, we’re participating the majority of everything in the handset piece which is the most commoditized is at the 13 megapixel rates, where we can still get some differentiation and in the more consumer pieces that you might see in the homes also again we’ve got instead of higher resolution products there and the lower resolution products are tailing off." 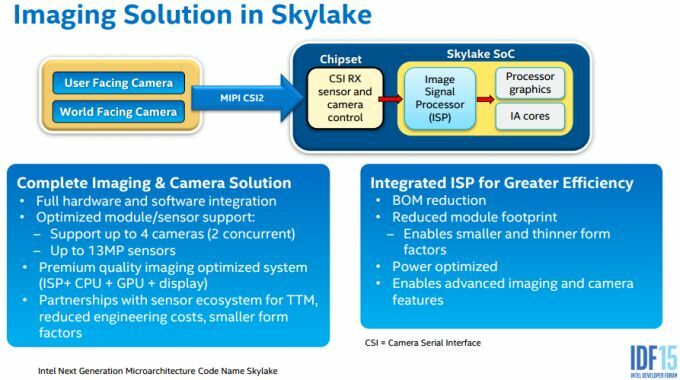 "Revenue for our Image Sensor Group was approximately $173 million as compared to approximately $171 million for the first quarter. Aptina was nicely accretive to our non-GAAP EPS and we remain on track to generate $0.08 of non-GAAP EPS accretion from Aptina in the current year." "We continue to gain increasing traction with our image sensors in the automotive market. If you are seeing double-digit growth in attach rates for A-dash for model year 2016 vehicles. Our design win momentum continues to accelerate and we’ve secured additional design wins for A-dash and rear view cameras with leading OEMs in Americas, Europe and South Korea. We’re seeing higher than expected attach rate for our rear view cameras driven by consumer demand ahead of government regulations and mandates." "We are seeing strong traction for our fast focused high resolution image sensors in the sports action camera market. Adoption of our three megapixel and two megapixel image sensors for digital video recorders for cars in China is accelerating." "Robust growth in the security market again generated strong demand for our image sensing solutions during the quarter. As expected, we saw strong volumes in China as the country began to implement a large scale transition to 1080p security cameras which will utilize our two megapixel, 1/3-Inch and three megapixel 1/3-Inch sensors. We continue to see good penetration globally in the top-tier machine vision camera manufacturers for the Python VGA CMOS image sensor devices, which reported a 23% sales increase compared to the first quarter. In the medical market, we had a record quarter with strong growth from our imaging and hearing aid customers." Popular Science, WSJ: Japanese National Institute of Informatics announces eyeglasses that help users protect their privacy by disabling facial-recognition systems in cameras. The glasses appear to be a completely passive device, and said to rely on "unique angles and patterns on its lens that reflect or absorb light. This prevents the recognition systems in digital cameras and smartphones from spotting a human face in a shot and focusing on it." “The Privacy Visor is the world’s first product with this technology,” the institute’s Professor Isao Echizen said. “We are often told not to unveil our personal information to others, but our faces are also a type of an ID. There should be a way to protect that.” Tests with cameras on smartphones showed that the eyeglasses were able to trick the facial-recognition system 90% of the time. Thanks to DK for the link! Albert Theuwissen publishes a first blog post in series of anti-blooming efficiency measurements. The first post talks about how NOT to measure anti-blooming. "The revenue in 2015Q2 decreased by 0.6% QoQ to NT$1,084.6 million. Compared with previous quarter, 2015Q2 gross margin was slightly improved to 49.0%. The operating expenses decreased by 0.8% QoQ to NT$466.3 million. Due to favorable product mix change and the decrease in operating expenses, 2015Q2 operating margin was improved to 6.0% from 5.3% in previous quarter. The net income and the basic earnings per share for 2015Q2 were NT$59.5 million and NT$0.51 respectively." 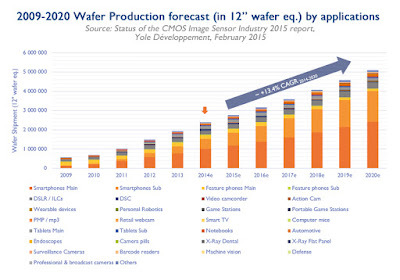 "Yole forecasts that the CIS industry will reach $10B this year, with Sony remaining the undisputed world leader --mainly at image sensor level, but gaining strong momentum at camera module level too. And what will Sony’s $4B be used for? Probably to increase capacity, enhance R&D efforts, and further widen the gap between its competitors. It may also be used in applications that will generate a firm lead in automotive, and to develop sensing technologies for consumer and automotive applications. With this bold financing move, Sony is leveraging its leading technology position and demonstrating the confidence it has in its products, its technology, and its future. Sony is increasing in strength, and there’s little the competition can do to counter its growth." Andrew Burt, Toshiba America's VP of Image Sensor Business Unit, continues his "Eye on Sensors" blog with a second post on automotive image sensors. The post primarily talks about TU-Automotive Conference held in Detroit in June. BASF spins off its chemical 3D sensor project into a separate company named trinamiX. The new company has its web site under construction and only says "trinamiX is located in Ludwigshafen, Germany, and a newly founded 100% subisidiary of BASF SE, the leading chemical company. As a pioneer, we are developing the most versatile sensor system in adaptive 3D measurement technology: XperYenZ." The company registration documents state that the purpose of the company is, in Google translation, "The development and marketing of sensor technology based on organic photosensitive dyes and the production and sales of optical sensors based on this technology." trinamiX trademark registration says that it's intended for "Photographic, cinematographic and optical apparatuses and instruments; apparatus for recording, transmission or reproduction of images." Digitimes: Etron Technology announces plans to spin off its 3D stereo depth map processor businesses into a wholly-owned separate company. The move is said to keep its talent and enhance product line. The planned spin-off will be discussed at a special shareholders meeting on October 5. The spin-off date is expected to be January 11, 2016, Etron indicated.